SHERWOOD PARK — Jessica Wytrychowski knew curling would be her purpose early in life. 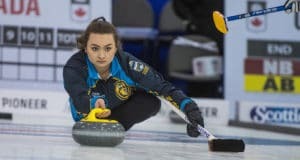 She’s representing Alberta for the first time at the 2019 Canadian Under-18 Curling Championships and knows she’s right where she belongs. SHERWOOD PARK, ALTA. 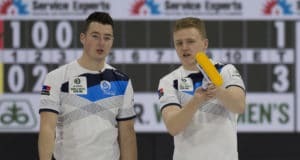 — Katie Follett’s Newfoundland & Labrador team might have lost its first two games of the Canadian Under-18 Curling Championships on opening-day Tuesday, but it was at least on their own terms. 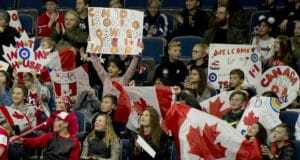 If it wasn’t for the power of social media, the kindness of a Good Samaritan and a little luck, the team wouldn’t have made it to Sherwood Park, Alta., for the first day of competition. LETHBRIDGE, Alta. – Sometimes you win when you gamble and sometimes you lose. 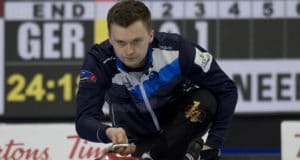 Defending champion Niklas Edin gambled and lost Tuesday and was knocked from the ranks of the undefeated at the Pioneer Hi-Bred World Men’s Curling Championship, presented by Service Experts Heating, Air Conditioning and Plumbing. LETHBRIDGE, Alta. 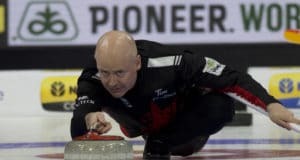 – The number of unbeaten teams has shrunk to three after three days of play at the 2019 Pioneer Hi-Bred World Men’s Curling Championship, presented by Service Experts Heating, Air Conditioning and Heating.